Comparing Wix vs. Weebly vs. Squarespace: Which is Best for You? 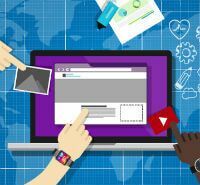 When it comes to building a website, there’s an abundance of Web-based tools that allow users of any experience level to get up and running in no time, without having to plunk down any cash. But despite not requiring any special software or coding know-how, the bevy of available options can be overwhelming for those unfamiliar with the features offered by modern website builders. Headquartered in Tel Aviv, Israel, but with offices located around the globe, Wix is another longstanding leader in the world of do-it-yourself website builders. 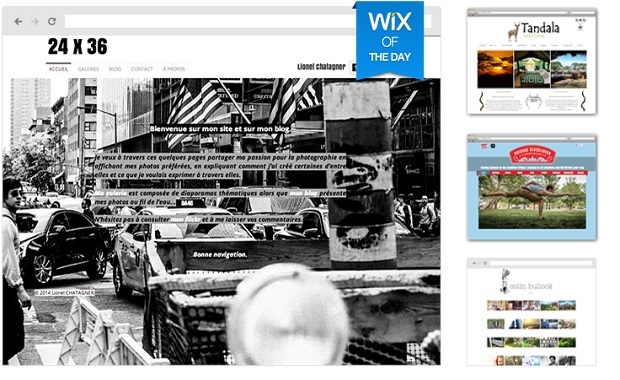 Over 35 million people worldwide use Wix for their websites, with an estimated 45,000 new users signing up each day. With hundreds of modern templates to choose from, Wix offers users greater creative control than Weebly, but retains a simple interface that won’t cloud your artistic vision. And an ocean of available integrations allows Wix users to easily extend the functionality of their sites by playing nice with many popular social, mobile, and Web apps. Similar to Weebly, Wix’s free plan restricts users from associating their site with a custom domain, and caps the amount of content that can be stored online. (Paid plans also start at around $4 per month.) 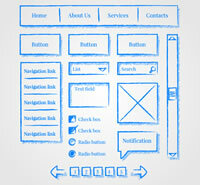 So when your site is ready to grow, Wix will be able to take you to the next level. Founded in 2007 and based in San Francisco, Weebly is among the most established and user-friendly website builders around. 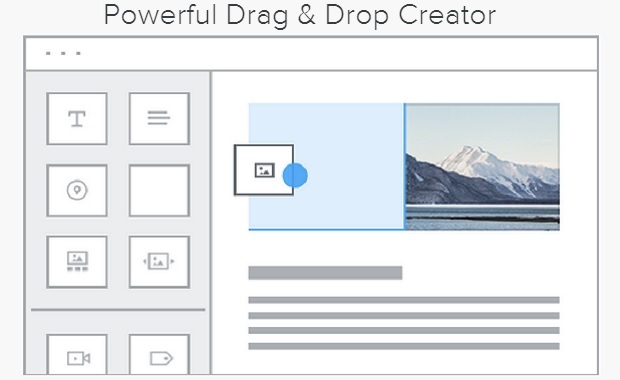 Home to over 20 million sites across the interwebs, Weebly’s easy drag-and-drop interface is an obvious choice for those who wish to quickly develop an online presence without first overcoming a steep learning curve. Select from a gallery of more than 50 themes to serve as a starting point for your digital domain, and then just snap into place the elements you wish to appear on your site. It’s that easy. 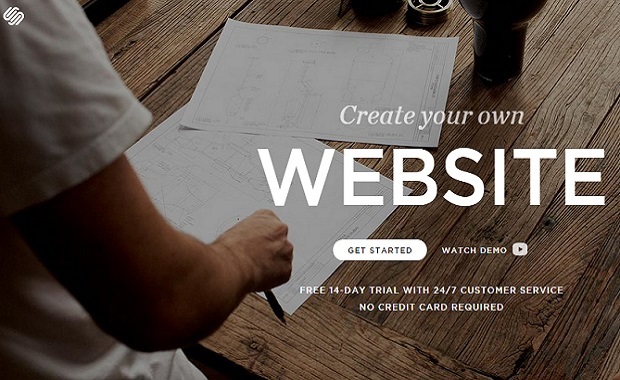 Weebly’s entry-level package is 100% free, but does come with some constraints. 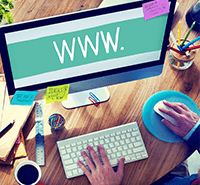 Users are restricted to hosting their sites on a Weebly URL (e.g., yoursite.weebly.com) and are limited to five pages until they shell out a few bucks. (Paid plans start at just $4 per month.) If your goal is to get online as quickly as possible without having to learn a lot, Weebly might be your best bet. Since 2003, New York-based Squarespace has helped millions of individuals, organizations, and businesses reach the masses thanks to their full-featured website builder. The builder offers a level of control and customization that extends well beyond the competition. This increased degree of freedom, however, comes at the cost of a less-intuitive interface that takes a little longer to get used to than Wix’s and Weebly’s. Squarespace also distinguishes itself from other website builders by using responsive design technology, which ensures that websites built on their platform look great and perform well regardless of what size screen they are viewed on (smartphones, tablets, desktops, etc). Although Squarespace is not free to use on an ongoing basis, the company does allow curious creators a two-week trial with no credit card required. And for those who wish to stick with Squarespace after a fortnight is up, plans that include custom domains, e-commerce functionality, and round-the-clock customer support start at $8 per month. Whether you’re looking to build a blog, portfolio, or online store, these three website builders can breathe life into your project in as little as an hour. Deciding which one to use basically boils down to how much control you want over your site, and how much time you want spend learning your way around the different platforms. Consider your options carefully, and choose wisely. Compare all the best website builders.